Sidney Crosby has set a new record for most points in the Stanley Cup Playoffs for a Pittsburgh Penguin, a record previously set by Mario Lemieux. Crosby scored a goal and got an assist in a 5-0 win against the Philadelphia Flyers in Game 4 of the Eastern Conference First Round making his total career playoff points 173 (62 goals, 111 assists) in 152 playoff games. Lemieux had 172 points (76 goals, 96 assists) in 107 playoff games. GOAL! CROSBY! He knocks it in from behind the net. The #Pens lead 4-0 with 9:04 left in the 2nd period. Lemieux is the Penguins leader in goals (690), assists (1,033) and points (1,723). 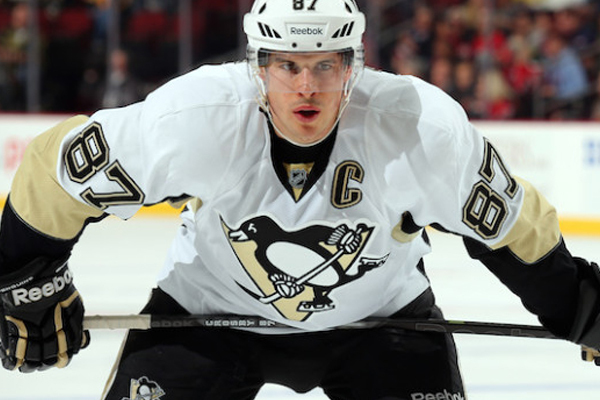 Crosby is third in goals with 411 and second in assists (705) and points (1,116). Crosby still has a long way to go in passing the overall leader, which to the surprise of no one is Wayne Gretzky. Over his illustrious career, Gretzky recorded 382 playoff points in 208 postseason games, 87 better than second place Mark Messier.